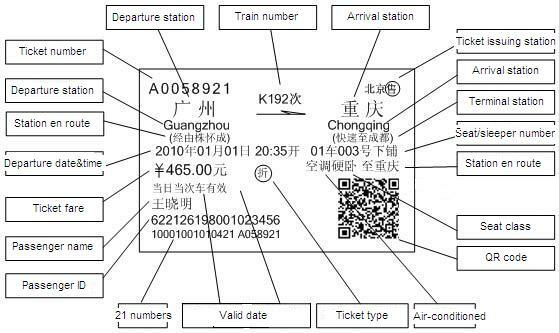 There are three kinds of paper tickets issued by China Railway. 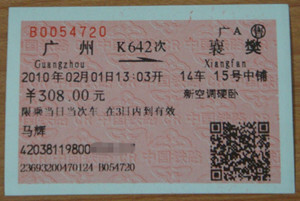 1 Soft paper tickets with a red shading. 2 Magnetic medium tickets with a blue shading. 3 Substituting tickets written by the working staff of the railway stations. It only happens in some particular cases. 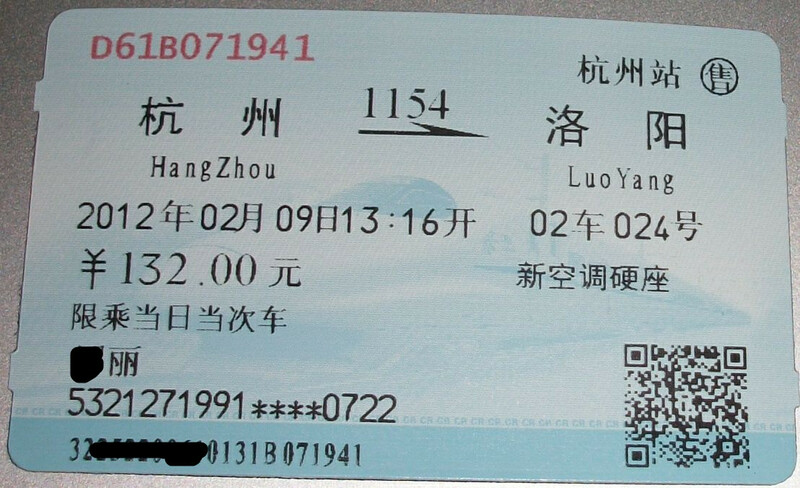 The paper ticket shows the departure station, arrival station, seat type, ticket price, train number, departure date, valid date, ticket number, two-dimensional code, name and ID number of the passenger.